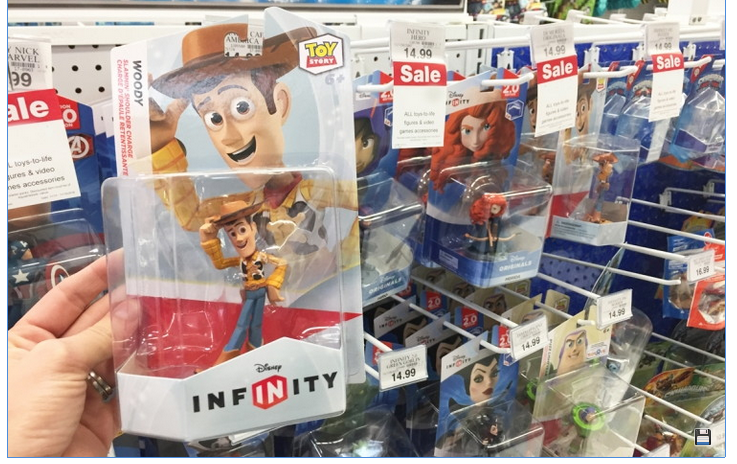 Clipping Chix: Toys-R-Us: Disney Infinity Figures B1G3 FREE with Code + FREE Ship to Store Deal! Toys-R-Us: Disney Infinity Figures B1G3 FREE with Code + FREE Ship to Store Deal! Toys”R”Us Rewards”R”Us Members can shop Black Friday deals now! One of the deals available today is on Disney Infinity Figures–buy one and get three free when you apply promo code BLACKFRIDAY at checkout. The final price for each figure will be only $3.75 with this promotion! Choose free store pickup if there’s availability at a store near you, or score free shipping on orders over $19.00. Total $15 or $3.75 each after discount!